Jimmy Binks and The Shakehorns is an Alternative-Country band in Tokyo! 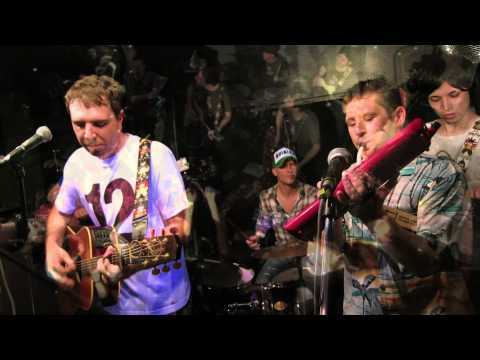 Jimmy Binks and the Shakehorns is a mixed-nationality acoustic rock band based in Tokyo. Their style has been variously described as alternative-country, Americana, folk, roots, bluegrass and acoustic rock. In 2013, they released their first E.P. “Not Too Late”. Several tracks from the EP have been featured in the UK on BBC Radio Wales and BBC Radio Sheffield. The track “Sandcastles and Snowmen” was broadcast on Tom Robinsonʼs BBC 6Music Introducing Mixtape show. The track “Mamaʼs Got Cookies” was selected as BBC Sheffieldʼs top 30 tracks of 2013. The tracks “Such a Smile” and “Junjo” were used as background music for the trailer of indie movie “Let Go”, starring Kevin Hart and Gillian Jacobs. “Such a Smile” also featured in “The New Normal”, a prime time NBC sitcom in 2013. “Junjo” also featured in the TV movie “Banner 4th of July” on the Hallmark cable channel. They regularly play in Tokyo and their shows are friendly, energetic and inclusive affairs. A recent show was reviewed by and featured in LAʼs “Music Connection Magazine”. At the end of 2013, the band were included in the magazineʼs Top 100 live unsigned acts. In October, 2013, the band played on both days at the Asagiri Jam festival.